How to Remove Chuck from Drill Press for a Safe Replacement? 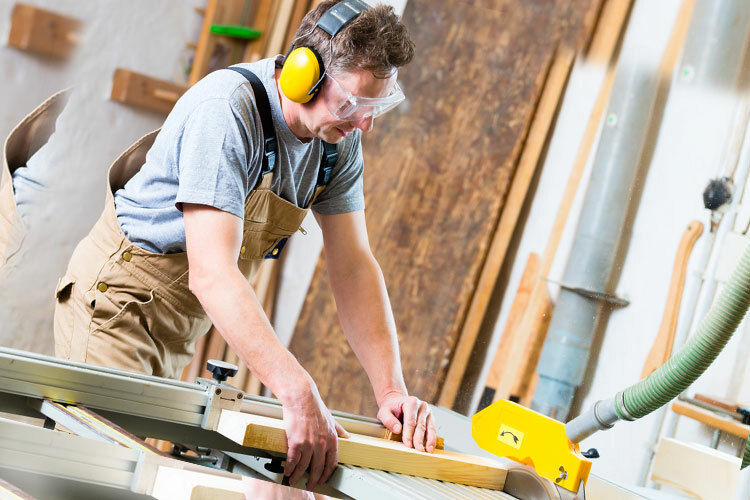 Have you heard of too many injuries obtained from using a table saw and vowed never to use one? Relax! What you need after buying your favorite table saw is an understanding of how to safely handle a table saw. Read through this article if you would love to get informed. Although the table saw is a common power tool, it may not be used by everyone or in every workspace. However, if it is a tool you use, then it is important to know the required table saw safety equipment. This is necessary because the wrong use of this implement may cause severe harm to the user. The dangers associated with handling a table saw wrongly, are within a very wide range. There is often a high possibility of injury to the fingers and hands. Other body parts are also exposed to injury, from objects flying off the rapidly spinning blade, at top speed. In this article, you will be informed on how to properly operate a table saw. You will also be acquainted with the necessary table saw safety accessories, to better understand which to use each project. There are different table saw safety tools, accessories, and steps required while operating the equipment. They are designed and recommended to protect operators from the various possible hazards resulting from wrong or unintentional use. Some of these accessories include safety glasses, safe clothing, hearing protection, and dust mask or respirator. These accessories will be discussed in the next few paragraphs. These are worn over the eyes to protect them from dust, splinters or any other object flying off the blade. Safety glasses often have side shields to reduce the risk of foreign objects going around the lenses. Safety goggles, which are more tightly fitted to the face, may also be used. Note that ordinary eyewear such as prescription or sunglasses cannot be used in place of safety glasses. They do not offer adequate protection. Before operating a table saw, it is necessary to be dressed in the appropriate clothing and footwear or shoes. Jewelry, clothing accessories such as neckties, and loose-fitting clothing should not be worn while working. Such clothing can easily get caught in the table saw’s blade, pulling the body into harm. Also, ensure to put on anti-slip, also called non-skid shoes, while working. These are shoes less likely to cause the wearer to slip on wet or slippery floors. Options include ear plugs and ear muffs. They are worn to prevent or reduce the possibility of hearing loss. Without this protection, hearing loss may eventually arise, due to the loud noise produced while using the table saw. The earmuffs are simply worn over the ears while the earplugs are placed into the ears. This is done by compressing the plug’s foam between your fingers and inserting into the ears. A dust mask or respirator is necessary to prevent the operator from inhaling the dust produced while sawing. This is especially necessary for those with allergic tendencies. The different table saw safety tools are features to be used with the machine, also to prevent hazards. They include blade guards, splitters, push blocks or sticks, proper inserts, rip fence and out feed support. Some of these tools also provide convenience while working, such as the rip fence. Blade guards are a necessity while operating a table saw. They may also be referred to as anti-kickback devices. Due to the high speed of the blades, work-pieces or other objects may sometimes be thrown back at the operator. This is known as a “kickback”. Kickbacks often result in injury, as wood chunks or even broken teeth from the saw blade may be propelled towards the operator. The blade guard, therefore, helps to contain the splinters, chunks of wood and broken saw teeth at their source. A splitter is also used to prevent the unwanted kickbacks. A riving knife may also be used in place of a splitter. What differentiates the two is that the splitter is fixed and remains stationary to the blade while operating. On the other hand, the riving knife moves with the blade, while maintaining a constant distance from it. Push sticks and push blocks help to keep the operator’s hands at a safe distance from the saw blade. The sticks are used to cut work-pieces that are at most 150 cm wide and less than 30 cm long. These are used to prevent a wood piece from falling into the saw cabinet and consequently becoming a projectile. It is important to always use the proper zero-clearance blade inserts. Zero-clearance inserts are inserts that perfectly match the width of the blade. Proper zero-clearance inserts prevent thin wood slices from jamming in between the blade and throat plate while operating. The fence is used as a guide to ensure your preferred length, width and type of cut for wood-pieces. Also known as the rip fence, it is sometimes made out of metal but more often built from wood. While operating, the rip fence is mounted on top of the work table or surface to the right side of the table saw. An out feed table serves as support while slitting long boards. Working from one end of a long board without placing support at the other end will prove difficult or almost impossible. The out feed table helps to prevent this, ensuring that the cut boards slide onto the support without getting stuck. Use Your Manual: before using your table saw, it is strongly recommended to acquaint yourself with the manufacturer’s recommendations and instructions. Operate with a Clear Head: never work while tired or under the influence of drugs or alcohol. Keep Saw Blade Clean: ensure to regularly eliminate dust or debris that may accumulate around the saw blade. Also, make it a habit to remove cut-off pieces of wood immediately. Keep Saw Blade Sharp: avoid using a blunt, inferior or inappropriate saw blade. This may not only compromise the quality of your work but also cause hazards. Keep Saw Blade Well-Tuned: ensure to properly adjust the table saw whenever necessary and keep it in top running condition. This ensures your personal safety and protects the quality of your work. Be Electricity-Conscious: Ensure that the power switch is off before plugging in the saw. Also, never change the blade while the saw is plugged. I believe that you are now aware of the importance of table saw safety equipment and the precautionary measures necessary. It is recommended that you invest in securing the appropriate safety tools while also imbibing the right safety habits. 2 How to Use an Angle Grinder to Cut Metal Perfectly and Precisely? 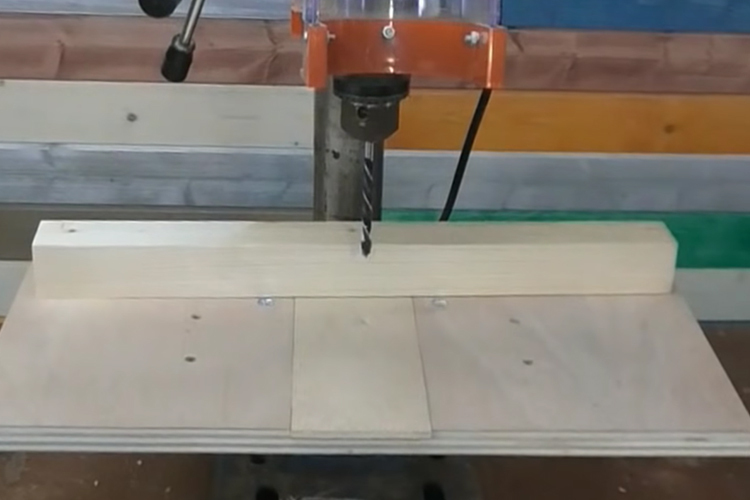 7 How to Remove Chuck from Drill Press for a Safe Replacement?